Property crime is expensive, disruptive and can effect your businesses reputation. Selecting the right intruder system ensures you and your organisation have the right protection against the right threats. What do our systems do? 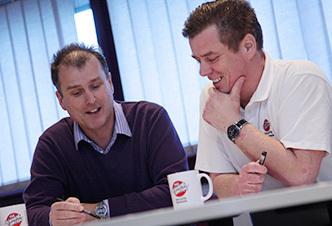 If you think that your business could benefit from an intruder alarm from The Alarming Company, contact us today to arrange a free, no obligation survey. Call us on 01329 314444 or click the buttons below. 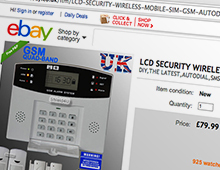 Have you found an offer for an alarm – either from a shop, online or as a fully fitted service? Here are some questions worth asking before you sign up. Can I install the alarm? False alarms are a nuisance and mean real alarms are ignored. Our technicians spend three years learning how and where to install the sensors. Is the alarm recognised by my insurer? An accredited alarm can reduce your insurance premiums. Is this alarm NSI NACOSS approved? Twelve months is the norm. However, faults usually occur after that. If you installed the system yourself, the warranty will only cover the equipment and not the installation. Am I actually renting the alarm? It might look like a bargain, but check the small print. You may just be renting the system. Stop paying the monthly charge and the company might want it back. Can they increase the monthly charge? Does the contract allow them to increase the cost after twelve months? Are there power and phone sockets where you want to place the control panel? If not, you will need to arrange for an electrician – at your expense. And if the system uses the phone lines, what does it use a premium rate or local number?